This is a very adaptable shrub that is tolerant of urban conditions and makes an excellent hedging plant. The berries and leaves are edible. The taste of the berries has a bitter taste with a hint of sweetness and tartness. 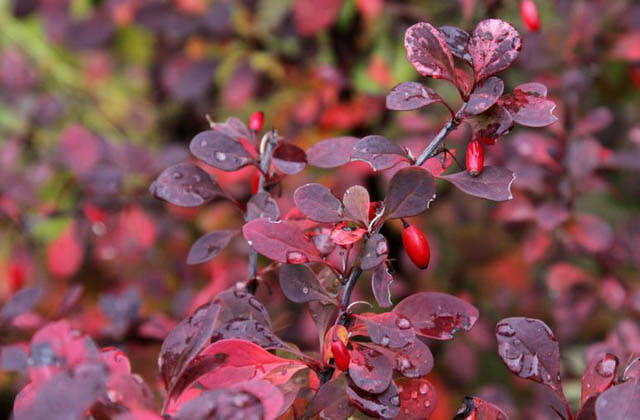 It is highly ornamental in its arching dense form with attractive flowers and berries, but most of all stunning foliage which continues its show throughout the autumn. Makes an excellent choice as a single specimen plant or massed in beds/hedges. To order this plant please contact us balkanecologyproject@gmail.com. Shrub growing to 2 m x 3 m at a medium rate. Suitable pH: acid and neutral soils. Leaves: Obovate green leaves that turn pretty shades of colours in the autumn.